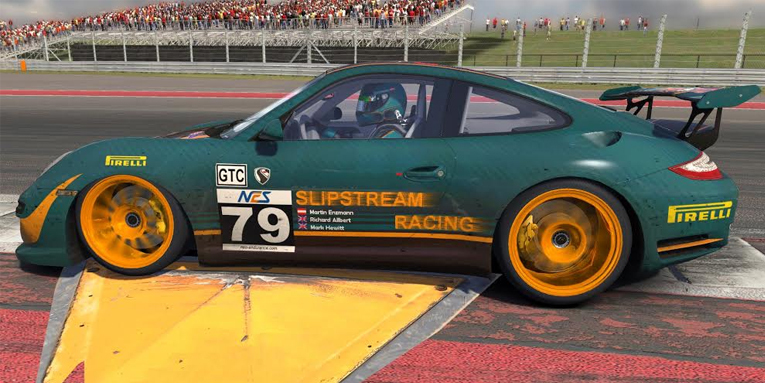 The guys from Slipstream Racing, car 79, record and upload videos of the their races during the NEO Endurance Series. The team is ninth in the championship at the moment, but a top eight is within reach. These videos give the viewer a great look behind the scenes of a sim racing team. Three drivers form Slipstream Racing: Martin Enzmann, Richard Allbert, and Mark “Wheeldamage” Hewitt. Check out their adventures during the last race at Spa-Francorchamps. Also Hewitt recorded the race from his point of view. Follow @SimracingNC and @wheeldamage on Twitter to stay up to date with this team. Also check out the channels of Wheeldamage and SimracingNC on YouTube for more videos.